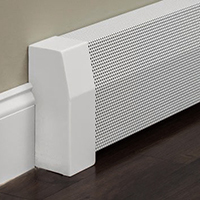 The easy slip-on baseboard heater cover that instantly rejuvenates ugly old, yet perfectly functional baseboard heaters. The Basic product line was created to maximize value. It contains the most common panel lengths and is offered with standard accessories. The Premium line offers the most flexibility and will solve most installation challenges. This line provides every common length and accessory you may need. The Premium TALL product line is identical to the Premium Series in all aspects except all components are 2″ taller. $ 16.95/Linear ft. $21.95/Linear ft.
1) Remove the endcaps and the front panel. 2) Measure the distance between the floor and the top of the heater. Note: If less than 7.5" use the Wall Brackets for mounting. This will bring the height up by a minimum of 1.25". 3) Measure the distance from the bottom of the heating element to the top of the heater. Note: If less than 5″ use the Wall Brackets for mounting. If the distance is greater than 6.75″, the TALL (BB003) profile should be used. 4) Measure the depth of the finned tube heating element to the backplate. 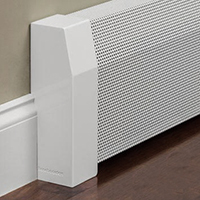 Note: If finned tube element is larger than 3.25", a wood molding workaround (shown here) is available. Standard straight lengths are measured from end to end using the original back plate. Always round down the actual measurement to a whole number (e.g. 72.75″ measured, order a standard 6′ (72") panel). 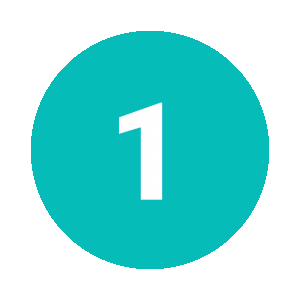 If a straight section is missing the back plate, measure from one extreme end of desired coverage to the other extreme end of coverage. This is the ideal panel length. There is no need for fractional or precise right-on-the-dot measurements as our covers are designed to yield an incredible amount of flexibility. Each endcap can expand up to 1.75" for a total of 3.5" when using a standard endcap at each end of the panel. Have a Run Longer Than 7'? 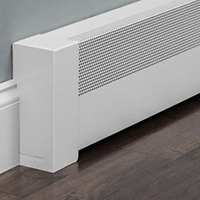 Baseboard heaters longer than 7′ will require the use of multiple panels and couplers to join two or more panels together. (e.g. 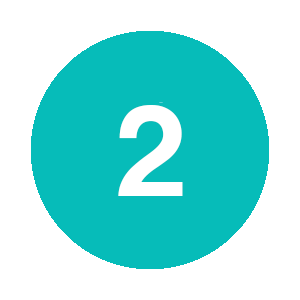 8′ = Two 4′ panels and a coupler to connect them.) 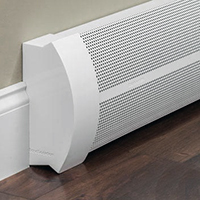 Use this Heater Lengths Guide to determine the correct combination for any length beyond 7’. Do you have special configurations? Corners, bay window, long panels, continuous piping, etc. click here to learn about accessories for ALL configurations.